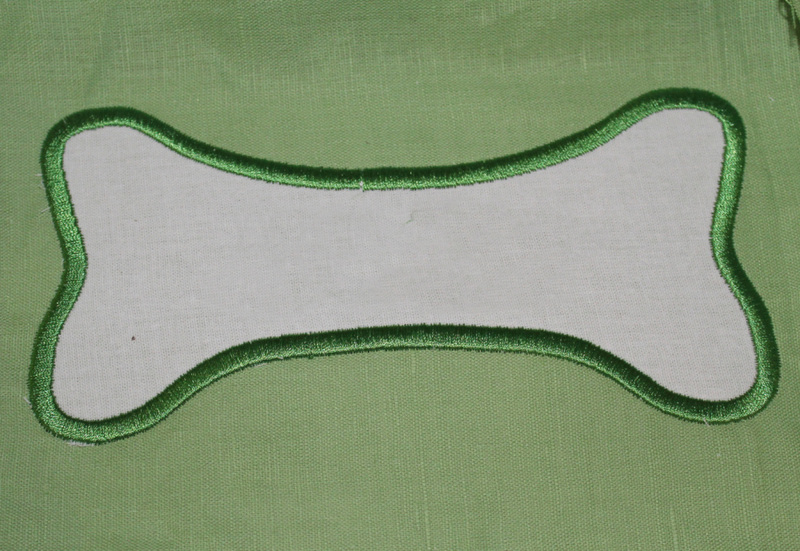 Dog Bone Applique - 3 Sizes! Earn 2 points at checkout OR buy this item for 38 points. 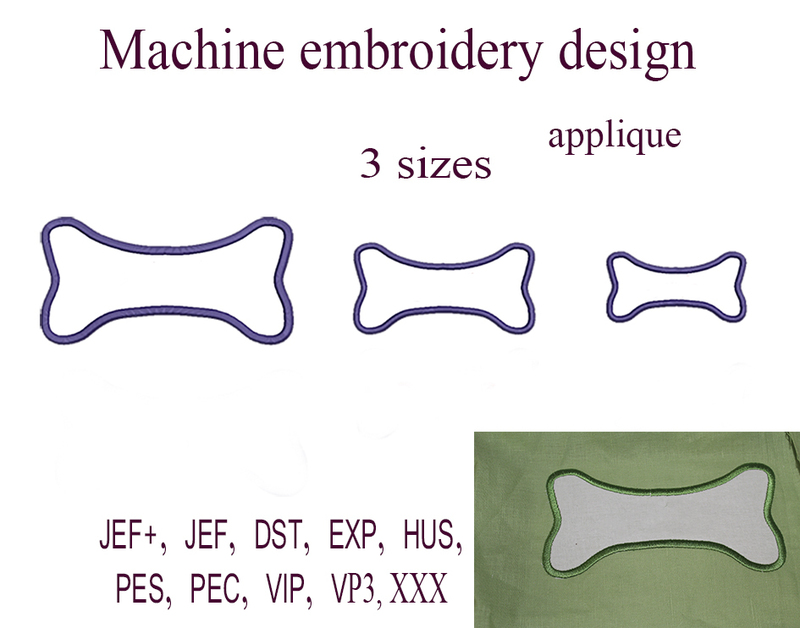 Finish Size 3.88" x 1.96"
Finish Size 5.04" x 2.53"
Finish Size 7.00" x 3.52"